Get the battery for your motorcycle or moped at the best price, take advantage of the discount on batteries. These batteries are new and without use. 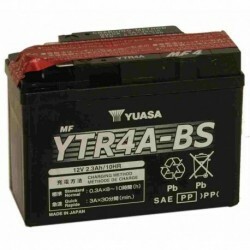 Find the best battery for you among the brands Yuasa, Exide, Tab, Power Thunder and BS. Buy online, we send it worldwide. 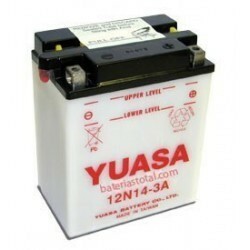 Battery for scooter or moped model brand YUASA 12V 2.3Ah YTR4A-BS. 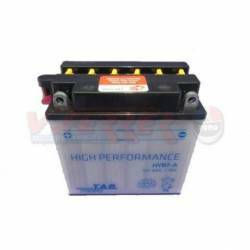 Battery for scooter or moped model 12N14-brand YUASA 12V 14Ah 3A. 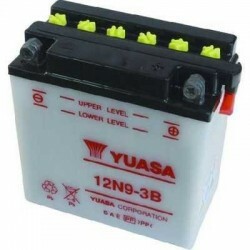 Battery for scooter or moped brand YUASA model 12N9-3Bde 12v 9Ah. Battery for scooter or moped brand THUNDER POWER 12v 11Ah YTZ12Sde TAB model O. 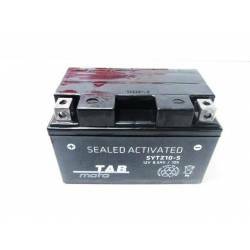 Battery for scooter or moped THUNDER POWER model 51913de TAB 12v 19Ah. 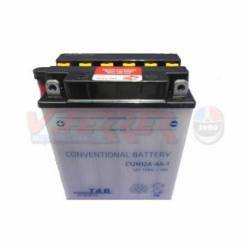 Battery for scooter or moped brand THUNDER POWER-O TAB model YTX5L BSDE 12v 4Ah. 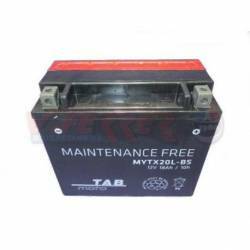 Battery for scooter or moped brand THUNDER POWER-O TAB model YTX9 BSDE 12v 8AH, buy online and send you home or collect in store. 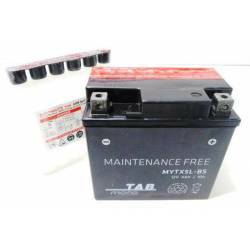 Battery for scooter or moped THUNDER POWER TAB O model BSDE YTX4L 12v 3Ah, buy online and send you home or collect in store. 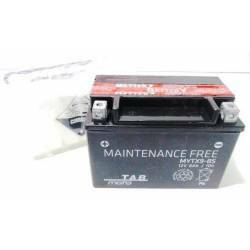 Battery for scooter or moped brand THUNDER POWER 12v 8.6Ah YTZ10Sde TAB model O. Battery for scooter or moped THUNDER POWER model YB7Ade TAB 12v 8AH. 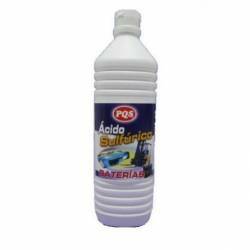 Sulfuric acid for batteries. 1 liter container. Battery for scooter or moped brand THUNDER POWER O TAB model 12N12A-4A-1 of 12v 12Ah. Exide batteries: since it manufactures for BMW motorcycles, Exide has become a whole new reference in the world of motorcycles. Economical batteries, made by Power Thunder or Tab. They have not an inferior quality or durability, but they come with a cheaper price keeping to a large extent the same operating characteristics. 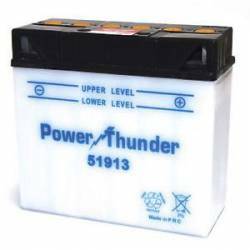 As an orientation, and depending on the characteristics provided by the manufacturers Yuasa and Exide, we can find the following models of batteries specifically for motorcycle, moped or quad. We can classify batteries into 4 large families: Maintenance, maintenance free, gel batteries and lithium batteries. They are the most common batteries, they are named so because they require an operation of filling their cells with distilled water, as it is dissipates by the chemical reaction, from time to time. These batteries are easy to identify because they include a relief and filling plugs on its top. Speaking of performance, they have the same characteristics and applications as the previous ones, with the proviso that this type of batteries is totally sealed, so no filling operation is required for maintenance (except the first charge of the battery). These batteries are used in motorcycles that, by their construction, doesn't have a totally horizontal placement, so they logically do not include any type of relief or plugs. These are last generation batteries which performance is superior to the previous ones. 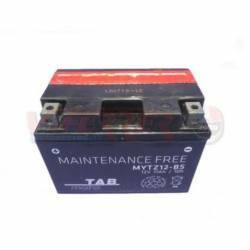 Welded to mount in motorcycles of great cubic capacity, especially in marks like BMW, these batteries usually have a lower weight than those with acid, they come pre-loaded by default which means that their assembly doesn't require any previous preparation. With a tremendously lower weight than all of the above, you will find the lithium batteries for motorcycle. In addition, they have a very superior performance and durability since lithium batteries have a larger number of loads. On the other hand, its price is higher than the previous ones. All the batteries that can be purchased on our website are supplied with the necessary electrolyte (acid) bottles and, if necessary, their plugs, nuts and bolts for their correct installation. In addition, in each one of their page product you'll find an application table and the measures. However, in case you have any doubt of whether it is the right one or not for your motorcycle, please contact us. 1) Protect your hands and eyes. 2) Uncover the upper plugs and fill each vase with the necessary electrolyte (it is indicated with level lines). In the case of batteries without maintenance, as it is already prepared, you must only incorporate the tank that the battery brings. 3) Keep the battery uncovered for approximately 60 minutes, as recommended by the manufacturer. 4) Cover the battery and test the start up. 5) Correctly tighten its terminals observing the polarity. ✓ If you are going to have your motorcycle stopped for more than 20 days, it is advised to disconnect the battery terminals so that it does not discharge completely and thus to extend its useful life. It is also a good operation to check the tightening of the terminals from time to time so there is no sulphation in them that reduces their performance. ✓ It is good practice that, after a while without using your motorcycle, you proceed to perform a full charge with a charger (not a starter). This charger must be specific for motorcycle batteries.